There are a few lessons in life that God keeps allowing me to learn and relearn over and over again. One of them is the issue of contentment. I like to think that I have grown in this area and I believe I have, but lately, I’m reminded that I have way too much pride in my life to really experience true contentment. It’s not the “I’m all that” kind of pride. It’s the “I want things my way” kind of pride that trips me up. It all started when we had to move out of our house because of a disaster in our area that left the environment unsafe to live in and resulted in thousands and thousands of our neighbors being relocated to hotels and houses all over Southern California. My family—including our dog, Rosey, bounced around between 4 hotels and 2 houses over the course of 5 weeks—with one more move happening this week! Living out of suitcases, eating junky food out at restaurants, and having to leave for school up to an hour or more earlier than usual has all of us longing for stability and normalcy. 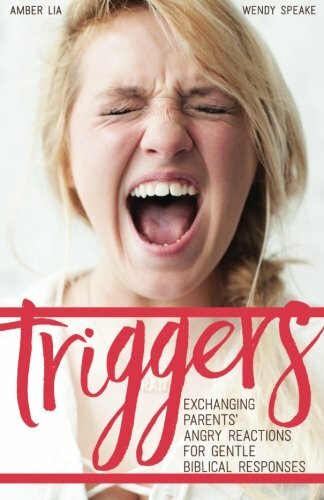 In the midst of all that, my dear mother-in-law passed away suddenly, and my first book, Triggers, launched publicly for the first time. Nothing about my life feels comfortable, stable, easy, or good. In my flesh, I began to get testy when servers didn’t bring my food correctly, or the hotel’s laundry room wasn’t properly stocked, or people honked horns loudly at 3 AM outside our hotel room. I wanted things to go smoothly and because they weren’t my spirits sank. “When you are going through change, go to the One who never changes. Perhaps you too have been wrestling with wanting things your way. There are far better ways to expend our energy and occupy our thought life than the things we wish were different. Just when I think I have a handle on contentment, God allows a test like this one to see what I’m really made of. Thankfully, He doesn’t condemn me when I reveal my weakness, He rushes in to calm my storm with the cleansing of His Word. Even though we are still 6 weeks away from being back in our home, I’m trusting God to keep my heart afloat with His strength and joy, despite our nomadic adventure. It’s not perfect circumstances that enrich our lives, it’s having the faith to trust God in the imperfect chapters of daily living that sustain us and that’s something worth being content about, indeed.